Everyone's favorite Broadway actor has plans to tackle another literary project. Lin-Manuel Miranda will adapt The Kingkiller Chronicle for film and television. 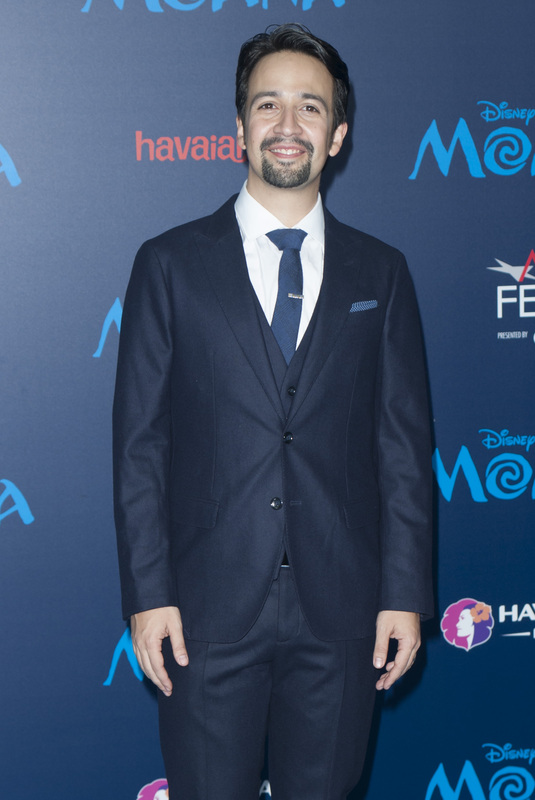 The Hunger Games distributor Lionsgate announced Miranda's involvement with Patrick Rothfuss' book trilogy on Tuesday, with Lionsgate Motion Picture Group Co-President Erik Feig saying, "only a multi-hyphenate talent like Lin-Manuel Miranda could do the job." The Kingkiller Chronicle began with 2007's The Name of the Wind, continued with The Wise Man's Fear in 2011, and will finish with the forthcoming third book, which is tentatively titled The Doors of Stone. The trilogy centers on Kvothe, a musician and scholar, who leads a low-profile life as an innkeeper. Over the course of three days, Kvothe recounts his life story to the Chronicler, a scribe. Each book in The Kingkiller Chronicle comprises a single day of Kvothe's storytelling. A screen adaptation of The Kingkiller Chronicle has been in the works since 2013, when Twentieth Century Fox optioned Rothfuss' trilogy for a TV series. That project stalled, and rights reverted back to the author in 2015, sparking a bidding war among Hollywood production companies. Feig says Lionsgate's adaptation will feature "film and television teams working side-by-side," in a move that sounds strikingly similar to Nikolaj Arcel's plans for his adaptation of Stephen King's Dark Tower. Neither project has secured a distributor for its TV series as yet. Miranda was a hit on Broadway with In the Heights, his Pulitzer-nominated musical about life in Manhattan's Washington Heights neighborhood. He attained mainstream notoriety with Hamilton: An American Musical, which chronicles Caribbean immigrant and Founding Father Alexander Hamilton's life in the U.S. Hamilton won the 2016 Pulitzer Prize in Drama. Since Hamilton's success, Miranda has taken part in several collaborations with Disney. At J.J. Abrams' invitation, Miranda composed a cantina song, "Jabba Flow," for Star Wars: The Force Awakens. He collaborated with Opetaia Foa'i and Mark Mancina to write songs for the Moana soundtrack, and his work on that movie will qualify him for the Oscar he needs to complete his EGOT. Miranda is set to star as Jack, a street lamplighter, in Mary Poppins Returns , which will feature Emily Blunt in the title role. He will team up with the legendary Alan Menken to write songs for Disney's live-action reboot of The Little Mermaid. Given Miranda's reputation for tenacity, it looks like The Kingkiller Chronicle adaptation will finally be delivered to Rothfuss' fans.